Florida Wire Grand Opening! 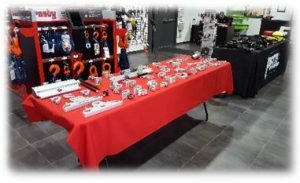 | Florida Wire & Rigging Supply, Inc.
On August 3 and 4, Florida Wire had its grand opening at our showroom in Orlando. 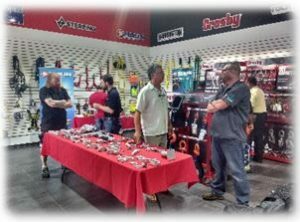 Attendees were invited to a mini trade show and vendor open house to network with manufacturers like Caldwell, The Light Source, Harrington, Crosby, and many others. Along with a grand tour of our new and fully upgraded showroom, our guests enjoyed Cajun shrimp flown in from Louisiana and boiled fresh at our facility. Our time together was more than just a celebration, it was also a learning experience. 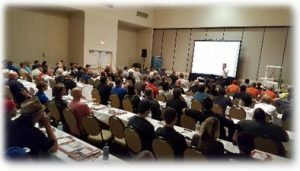 Florida Wire held our Crosby Rigging Training and Tools Workshop at the Double Tree Hotel Universal. Throughout the 2 sessions held, students participated in real life exercises and team workshops targeted toward trainers, engineers, safety personnel, riggers, and crane operators. Great news! You can receive the same hands-on training we offered at our grand opening, wherever and whenever is most convenient for you! You can make an appointment at our state-of-the-art facility, or schedule us to come to you to receive the same training opportunity. We offer group training as well as individual training for all of our workshops. 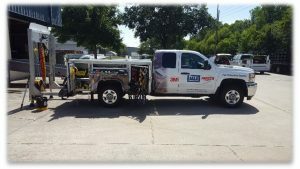 If you have any questions, or would like to schedule an appointment to begin your rigging training, please call Florida Wire at 800-432-2269 to speak with a rigging and fall protection specialist today.